Sometimes I forget I even owned this car but thankfully the new owner Mark has kept in touch. 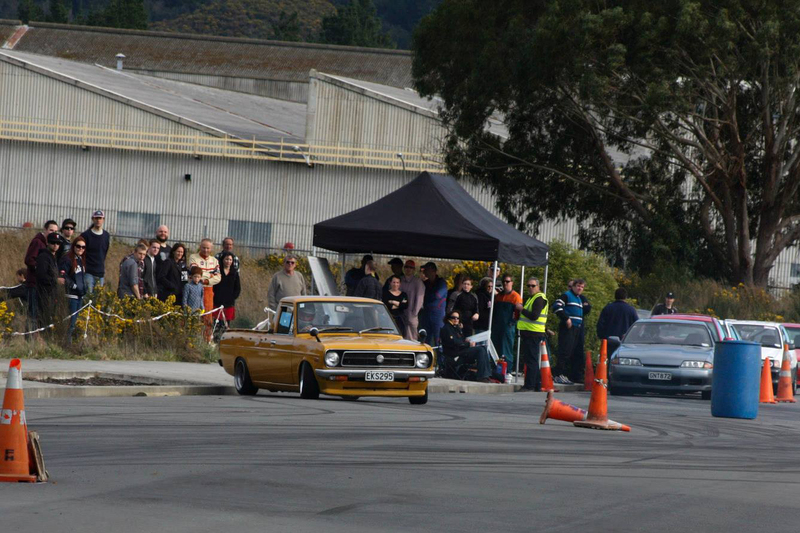 The above photo of the Sunny is from the Hutt Valley Motorsport autocross held on the weekend. Apparently the Sunny went great and finally turned a few tires into smoke in the dry. I can’t say just how happy I am that this car went to someone who is taking care of it and is shredding some tires, it makes all that hard work worth it even if it’s not me driving! 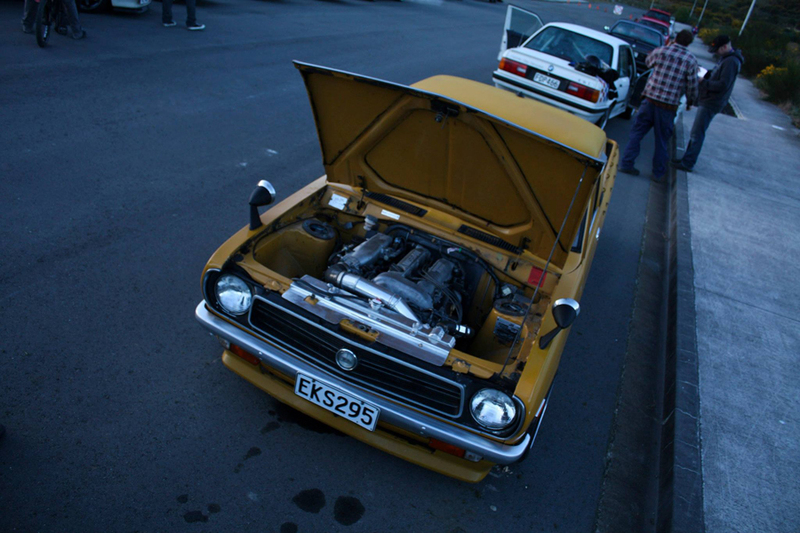 Mark placed 19/43 entrants, between a silvia and a skyline, nice one Mark. I believe it is currently in the process of being certified for road use although it was already certified for the suspension and wheels. Will keep posting on it where possible. Credit to simply vanilla for the photos, thanks! C’s Garage now powered by MAX NZ for the 2013/14 D1 New Zealand season. Enjoy this edit I put together, a quick taste of what’s to come. I’d just like to point out that there is a private drift day coming up at Meremere with the following cars attending amongst the full list, including myself. I haven’t drifted in quite some time due to motorcycles taking over, but man am I pumped for it! I developed a random film I had lying around a while back and to my suprise, half of it was from Ebisu, Japan when we went in 2010! Enjoy these two of the clean red 180SX at Kita Course. Go here for some medium format photos of the same day and follow the links for more. Also, check out this link for some more photos from our Japan drifting tour. I’m having a little flash back from my trip to Nippon in 2010, 2 years ago, I can’t believe it’s been so long. Here’s an image I shot from the junkyard of MOTORFIX, one of my favourite garages in the world. Thanks once again to Nozomu’s hospitality. Click here to see a small collection of motoring images. I had a dream about this exact scenario about a year ago and remembered it when watching this video, it was compete deja vu except in my dream I was driving my truck and it was as fast as Adam’s old 180SX was. Anyway, enjoy the fruit of drifting AE86s in japan. Thanks Chris for the photos! This was such a fun day, I can’t wait for the next one. Between motorbikes I’ve been getting along with fixing the radiator. I have everything I need, I just need to modify the water outlet to fit the thermo switch and wire that in and we’re good to go. See Freshly whipped for more of the day. Come on Chris, get some more video up! MAJORFORCE @ Nikko. Alexi can you please post a wallpaper of this? I’ve got a heart ache.